Schaumburg Bonnie Gordon (nee O'Connor), 64, passed away Monday, April 2, 2012, after a courageous four-year battle with cancer. She was the beloved wife of Gary for 43 years; loving mother of Gregory (Cyndie) and Jeffrey (Catherine); proud Nana of Madison and Nathan; dear daughter of the late Lois and Richard O'Connor; sister-in-law of Darryl (Roberta); dear aunt and godmother of Julie (Sean) Walsh; and cousin of many. 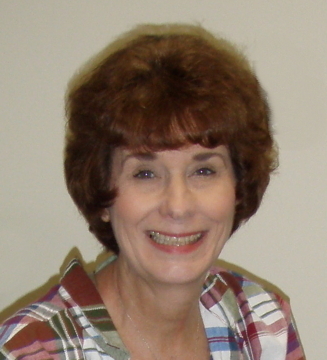 She worked for Hoffman Estates High School for 26 years, had a passion for traveling, and adored her grandchildren. Visitation will be from 4 to 9 p.m. Friday and Saturday, at Ahlgrim & Sons Funeral and Cremation Services, 330 W. Golf Road, Schaumburg. Funeral prayers will be said Monday, April 9, at 9:15 a.m. at the funeral home, going to St. Matthew Catholic Church, 1005 E. Schaumburg Road, Schaumburg, for a Mass at 10 a.m. Interment will be in St. Michael the Archangel Cemetery, Palatine. In lieu of flowers, memorials will be appreciated for the National Leiomyosarcoma Foundation or Alexian Brothers Hospice. For funeral information, 847-882-5580.